PowerBlocks and expansion kits like U-33 Stage II Kit are ruggedly made, yet attractive and compact so they don't take over the whole house or office. 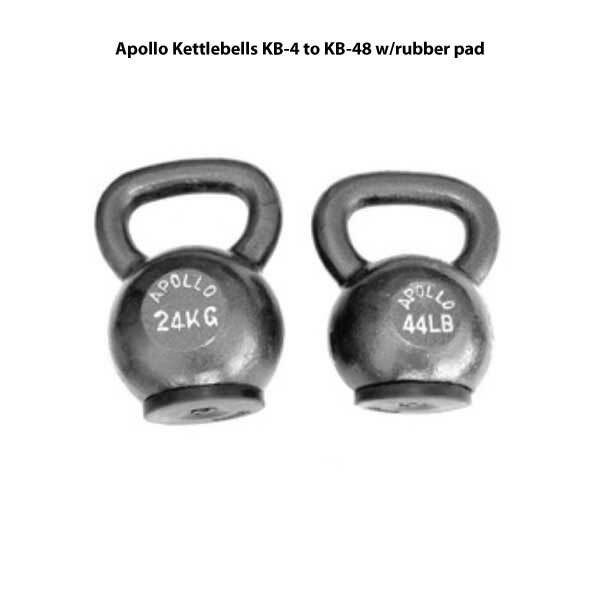 The cost per pound for PowerBlocks vs. the alternative of regular dumbbells and is very dramatic and the space savings is priceless! 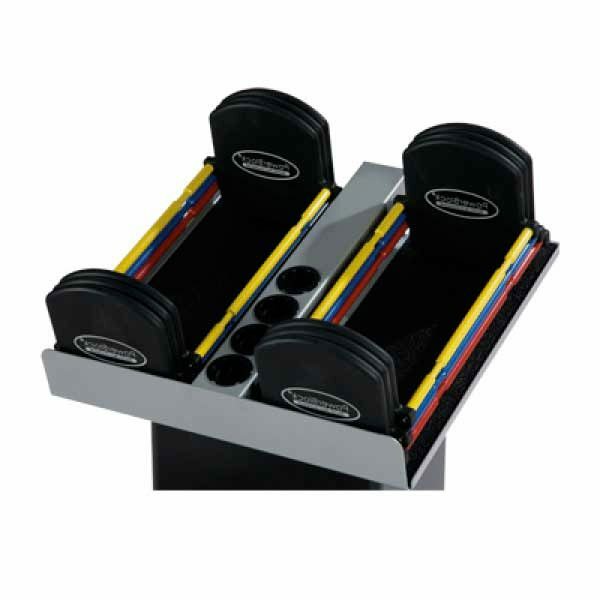 The PowerBlock U-33 Stage II Kit expands the PowerBlock U-33 Stage I Urethane Series Dumbbells are part of the utherane series sets of dumbbells. PowerBlock is the most compact dumbbell available. 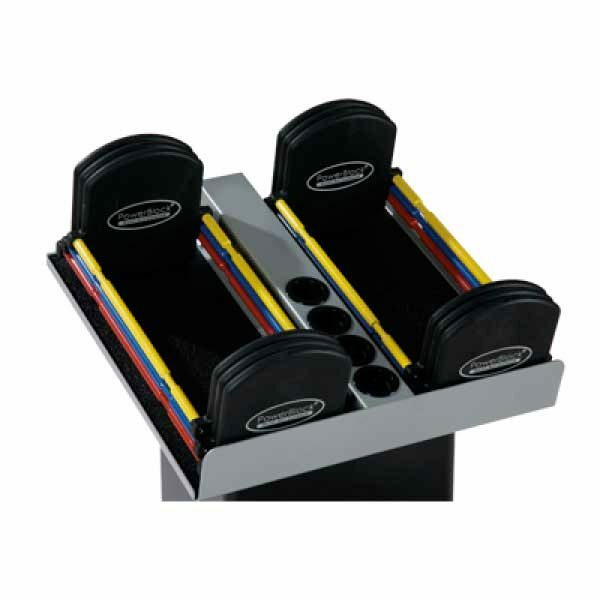 The PowerBlock U-33 Stage II Kit expands the PowerBlock U-33 Stage I Urethane Series Dumbbells are part of the utherane series sets of dumbbells. PowerBlock is the most compact dumbbell available. At any weight, you will not find a shorter more compact dumbbell than PowerBlock. 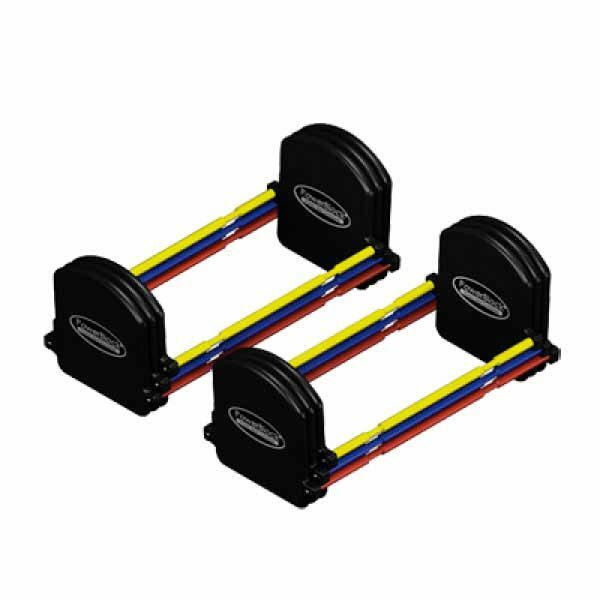 This means the PowerBlock U-33 Stage I Urethane Series Dumbbells has the weight more concentrated around your hand and makes the dumbbell easier to balance and control. 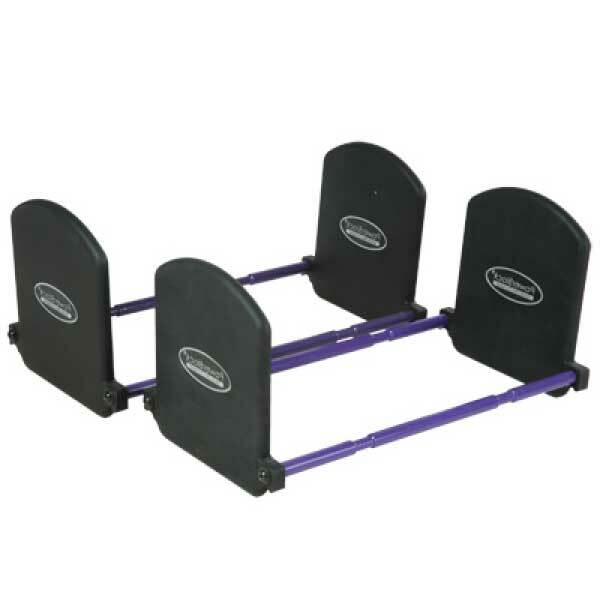 Having the PowerBlock U-33 Stage II Kit saves you space and money. 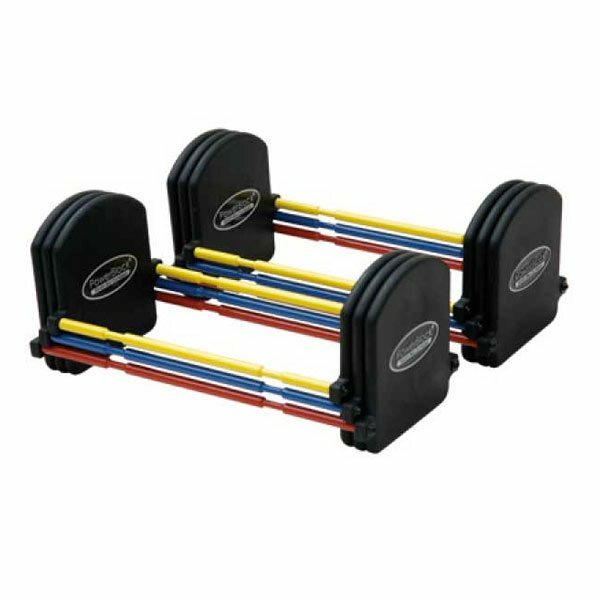 With the U-33 Stage II Kit, the PowerBlock dumbbells now replaces an additional 504 lbs of free weights. We recommend dumbbells for reasons of safety (with barbells you need a spotter so you don’t get pinned) and for symmetry (you can’t cheat one side against the other like you can with barbells). PowerBlocks are the ultimate home dumbbell gym. Each set of PowerBlocks adjust quickly anywhere through the range of weight in about two seconds. Each set of PowerBlocks is the equivalent of many sets of traditional dumbbells. 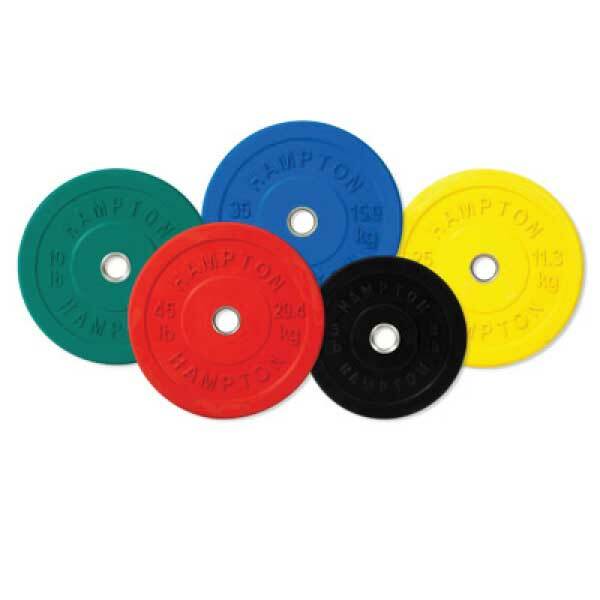 For example a single 90 lb Urethane Set is the equal of 34 pairs! PowerBlocks and expansion kits like U-33 Stage II Kit are ruggedly made, yet attractive and compact so they don’t take over the whole house or office. 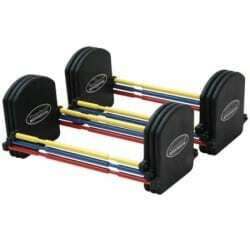 The cost per pound for PowerBlocks vs. the alternative of regular dumbbells and is very dramatic and the space savings is priceless!